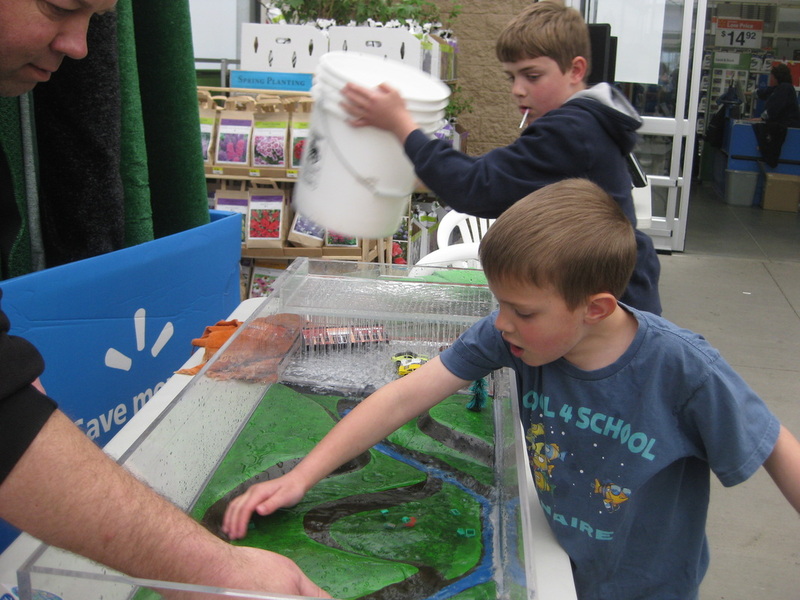 Stormwater Youth Education- Youth education on the impacts of stormwater runoff has occurred at various community events. 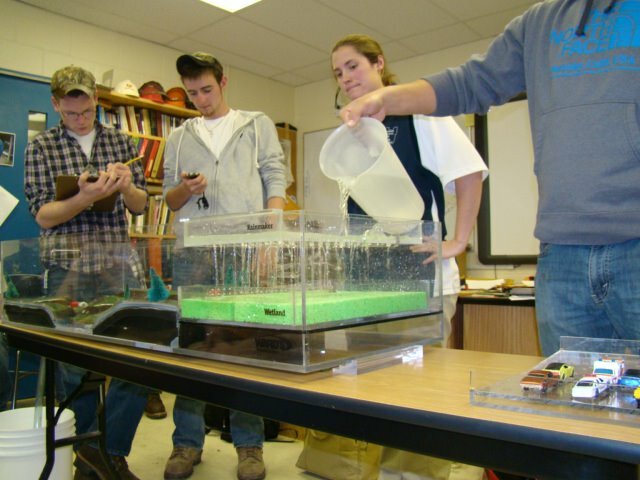 A floodplain model is used to show how peak water volumes after storms increase when impervious area in a watershed goes up and how this impacts floodplains and other low lying areas. 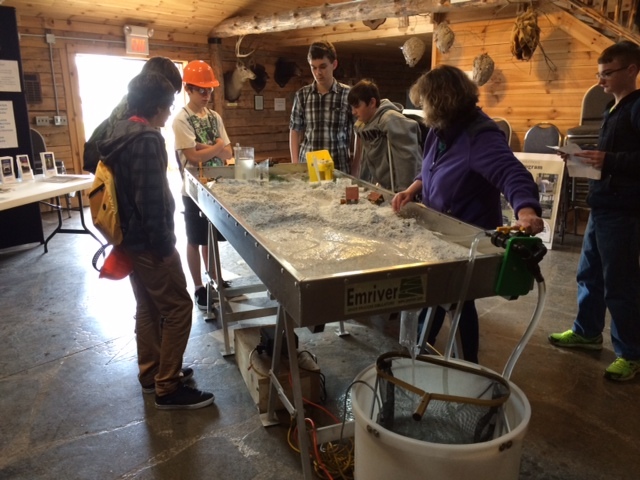 The Emriver is a stream simulator that is used to show how streams work. 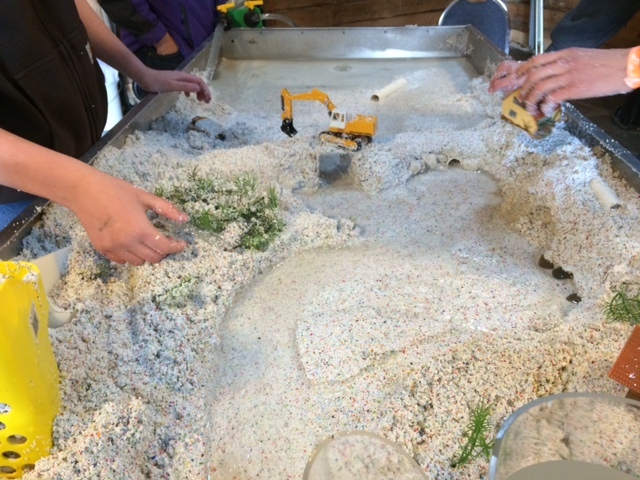 You are able to see how streams can erode banks, transport and deposit sediment, and see how streams react to channel straightening and installing bridges.